I think that wild ducks live everywhere. Especially nice to meet them in large industrial cities. Wild ducks create a special flavor of cozy country life, warm and calm. These ducks I and my daughter met last summer at the city pond. The day was hot and the water was cold, and there were not many people who swam and scared the ducks. 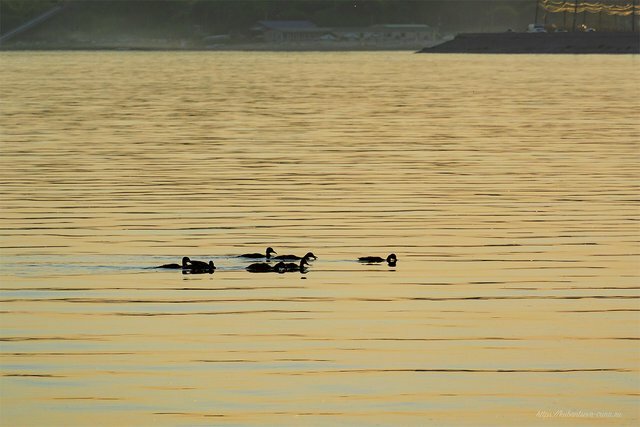 The ducks were swimming slowly, and my daughter and I watched them from the shore. Текст на русском языке читайте в моём русскоязычном блоге. Nice shots! I always enjoy watching ducks, and you are right,. It doesn't matter if they are in the country or in the city they are still enjoyable to see. Thank you @melinda010100 for stopping by my blog! I like to photograph ducks when I meet them. There are several photos of wild ducks in my photo archive taken at different times of the year. The snow will melt soon, ducks will return to our lands and I'll try to make new pictures! I like ducks, too. I have some ducks in the snow to post soon. Ducks in golden pond! 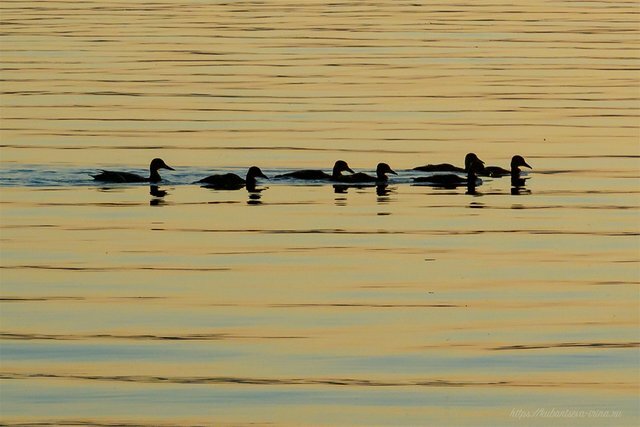 !golden ducks! Catch them and you will be very rich!! Howdy from Texas soroka74! hey these are some fine photos you got here, I love the sight of ducks swimming and it's interesting and very good that they are even in the city, well done! What city was that in? Thank you @janton for stopping by my blog! I met these ducks in the city of Chelyabinsk, Southern Urals, almost in the geographical center of Russia. I live here. Howdy again soroka74! Holy smokes a Russian! I don't know any so this is a great pleasure to meet you! Are you a native or did you move there from another country? Hello! I haven't been on a steemit for several days, have not seen your comment. I apologize. :-) I live all my life in Russia, in the Southern Urals. Some friends of my childhood went to live in other countries: USA, Canada, Israel. Do you always live in Texas? Howdy again soroka74! Oh that's okay about not getting back to me soon, it's fine, just whenever you have time is fine! I don't know anyone is Russia so this is a pleasure to meet you. Why did your friends move to other countries? I have lived in different states and have been in Texas for about 4 years now. can I ask what you were doing that you were not on steemit for several days? most people here are addicted and would not be able to stay away! lol. Hello again, @janton! I also became addicted to social networks and the Internet, like many people. But there is not enough time for everything, I have to give up something. I do not work, I am a housewife, but all the time is not enough. I take my daughter to school and various extra classes. Still trying to keep my Russian blog. A lot of time is spent on photos. You asked why my friends went to other countries. A Jewish friend went to her historic homeland in Israel. But her brother went further to the USA, he says that there is better there than in Israel and Russia (the standard of living is higher, there is more freedom). Another friend went to Canada, where she likes the social sphere, the attitude towards citizens. Howdy soroka74! thanks for getting back to me. I understand how busy life can be if you have children especially. What other social sites are you on? What part of Russia do you live in?